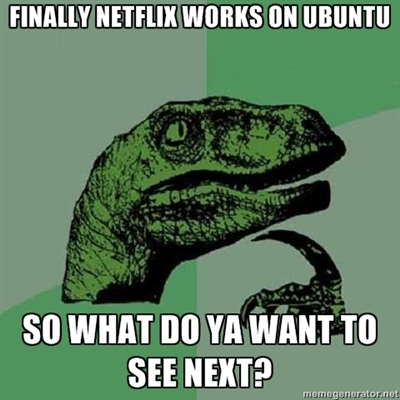 For most it sounds like Netflix is working fine for people on Ubuntu and a few other GNU/Linux platforms. If you continue to have any problems, make sure to read through the comments on the Netflix Desktop PPA article for tips on solving your particular problems. We’ll also be posting some common errors and fixes in an upcoming article later this week to help make it easier to solve these issues. Looking into the future, lets ask this question to the community…. What other apps do you want working as native as possible on Ubuntu? What apps are you *dreaming* about so you can dump Microsoft products once and for all? Is it a game? Is it a productivity application? A finance or accounting app? Go for it. List your TOP FIVE apps in the comments below.